Eintritt frei, um Anmeldung unten wird gebeten. 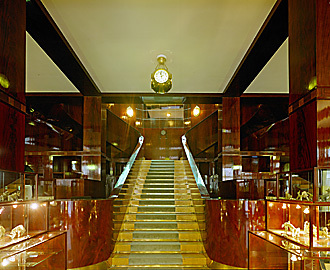 In recent years, several prominent architectural historians and cultural critics have observed that the similarities between the architectural works of Adolf Loos and Ludwig Wittgenstein’s villa for his sister Margaret Stonborough-Wittgenstein on Kundmanngasse in Vienna are mostly superficial—that both spatially and formally Loos’s houses and Wittgenstein’s design are, in fact, very different. This is unquestionably correct, but there are important shared features in their works that at first glance are not readily apparent. This is especially true when one begins to examine the ways in which their buildings functioned and the underlying strategies that informed each man’s choices. For if their houses were manifestly different, they were informed by closely related modes of thinking. In this lecture, Christopher Long probes how Wittgenstein and Loos shared essential assumptions that shaped their idiosyncratic approaches to building. Dr. Christopher Long is University Distinguished Teaching Professor in the School of Architecture at the University of Texas at Austin. He has published widely on modern architecture and design in Central Europe and the United States. His books include Josef Frank: Life and Work (2002), The Looshaus (2011), Kem Weber: Designer and Architect (2014), and The New Space: Movement and Experience in Viennese Modern Architecture (2016). 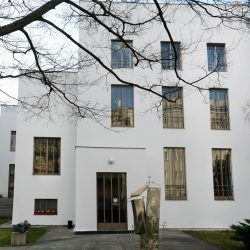 Autor von Wittgensteins Wien und Wittgensteins Wien Revisited, Projektleiter der Wittgenstein und Paul Engelmann-Projekte des Brenner Archivs Innsbruck.